Auto insurance can be pricey and often feels like an unnecessary expenditure, especially if you're a driver who hasn't been in an accident. 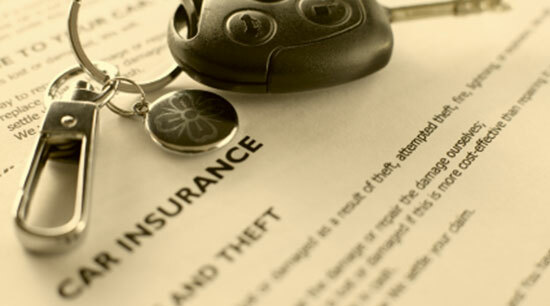 However, we know first-hand how important the right insurance coverage is to accident victims. It could be the difference between recovering the money you need or nothing at all. That doesn't mean you need to drain your bank account for a good policy. If you've followed our recommended coverage for auto insurance, you may worry about spending more per month than you normally would. We've compiled some ideas to help keep your insurance costs low without sacrificing coverage on your policy. If you've been injured in an accident, call our attorneys today. We're available 24/7 at 1-866-943-3427 or online by filling out our free legal consultation in the top right corner of this page. Ask for Higher Deductibles – Raising your deductible can lower your monthly payment, but will cost you more when an accident happens. Raising your deductible from $500 to $1,000 will lower your monthly costs, but you will have to pay that if an accident happens. Shop Your Policy – Don't forget to talk with different insurance companies about their rates. From one company to another, their prices could vary wildly for the same policy. Make sure to look around for the best price – but make sure you're getting the right coverage. Ask About Discounts – One of the easiest ways to save money on your monthly insurance bill is by asking your agent about existing discounts. You could find discounts for being a good driver, a good student, belonging to certain business groups, and many more. Consolidate Insurance Policies – Moving all your insurance policies to one company could qualify you for multi-policy discounts. If you insure all your vehicles through one company, make sure to inquire about stacking benefits. Opt for Safety Features – If you're in the process of buying a new car, make sure to consider all the safety features. The insurance company will take these into consideration when calculating your rates. Drive Less – If you're a low mileage driver, you could be considered for certain discounts. The less time you spend on the road, the less likely you'll be in an accident. Maintain Good Credit – When determining the cost of your policy, insurance companies use your credit score as a factor. The better your credit, the better price you'll receive on your insurance policy. The best way to understand the discounts offered on your policy is by speaking to your insurance agent. However, it's always good to shop around for the best prices. This guide is not a complete summary of the Pennsylvania Auto Insurance Law. It is designed to highlight certain important features of this law and should not be considered legal advice. Everyone has different insurance needs. If you have any questions concerning your coverage, please contact your insurance company representative.